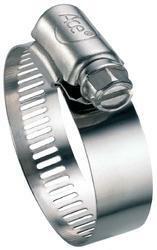 We are one of the pioneered manufacturers and suppliers of Worm Drive Hose Clamps/Hose Clips. Our products are made of high-grade raw-material procured from the trusted vendors ensuring the quality of our products without any compromises with the quality. Unique one-piece housing: Tightco clamps feature unique, one-piece housing which gives extra strength than any other ordinary clamps. Wide range of clamps for full satisfaction of customers needs as per their requirements. Subhlakshmi Engineering is the leading manufacturer and exporter of Hydraulic hose pipe which are made from high-quality raw materials. 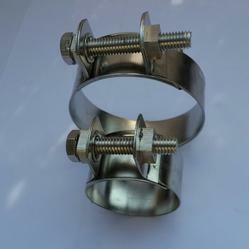 Subhlakshmi engineering is the leading manufacturer and exporter of Stainless Steel Clamps which are made from high-quality raw materials. 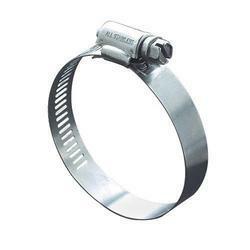 Our organization is engaged in offering Breeze Clamps. These clamps are used in heavy engines, tractors, pneumatic connections and electrical assemblies, to name a few. Clients can avail these products in standard and customized specifications in terms of widths, thickness, material, surface finishing and more. The high-grade ferrous and non- ferrous metals like stainless steel, brass, mild steel, copper and aluminum are procured from the reliable vendors to manufacture these products. Owing to their good compressibility and material strength, these clamps are widely demanded by the clients.